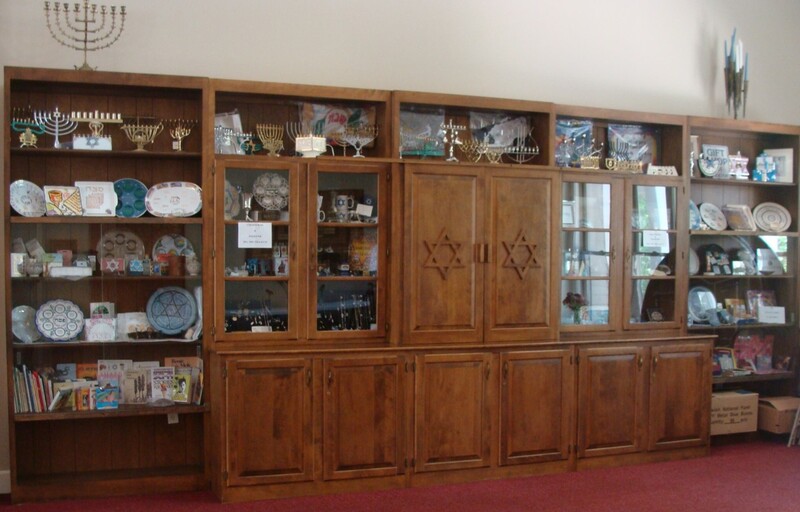 The Kol Shalom Gift Shop has many unique Judaica items for all occasions, and many of the items are in stock. However, if there is a special item that you might be looking for there are several catalogs available to choose from. Item(s) can be ordered and shipped directly to you. Our Gift Shop is managed by Marian Figlio, so please contact Marian by phone (240-308-3571) or email to arrange an appointment. Some of the items available from the gift shop include Bar/Bat Mitzvah invitations, books, kepot, tallit and tallit cases, wedding gifts, mezzuzot, menorahs, wine cups, candlesticks, jewelry, wrapping paper, gift bags, dreidels, chocolate gelt, and many more items for specific religious holidays.